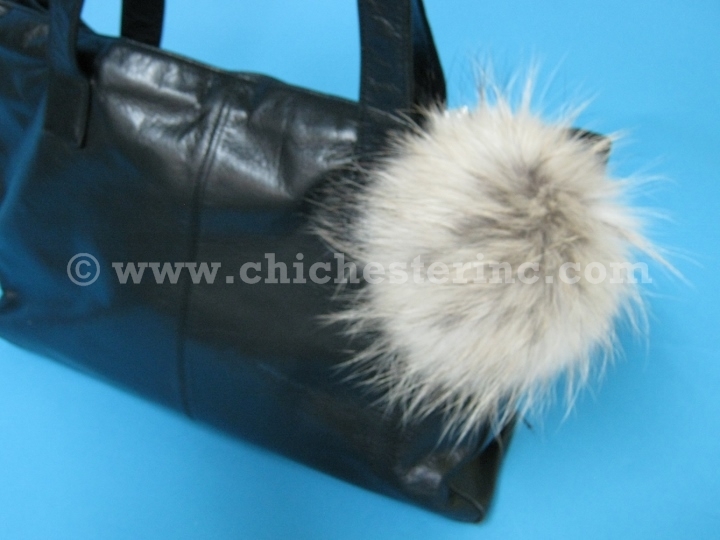 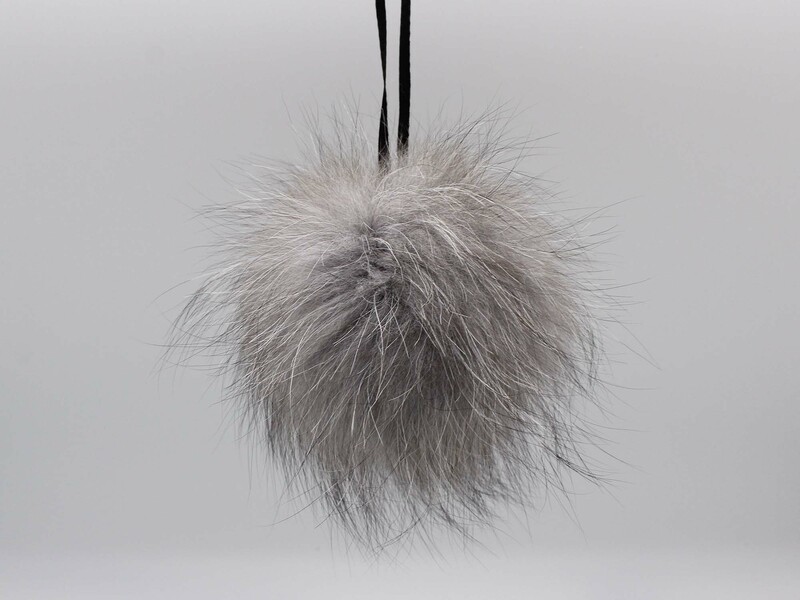 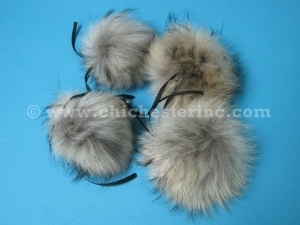 Stay fashionable with these cute fur pompoms made from genuine fox, coyote, and finn raccoon fur. They come with two black ribbons, so they can be attached to purses, keychains, hats, and clothing. 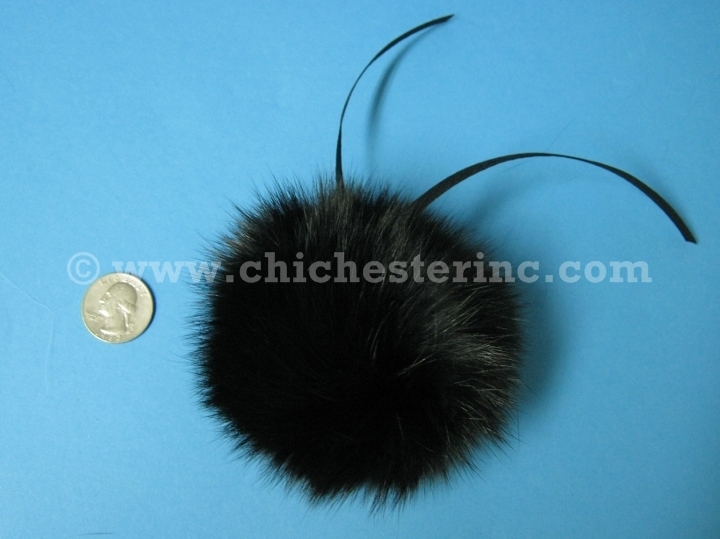 They measure between 4.5" to 5.5" in diameter. 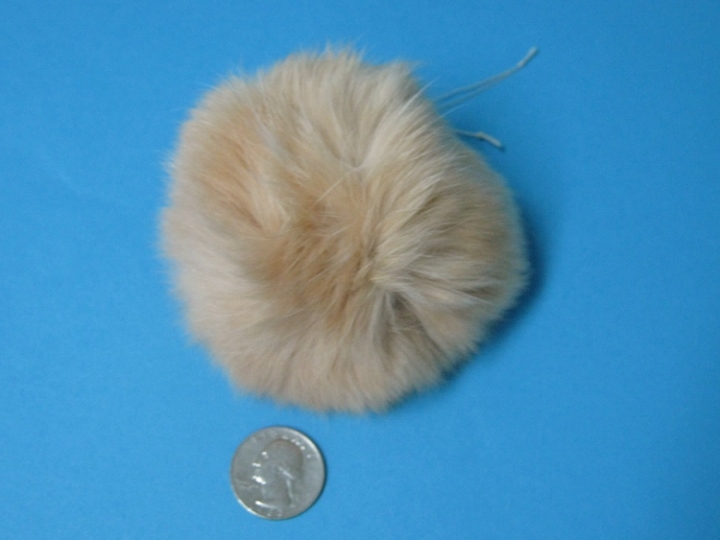 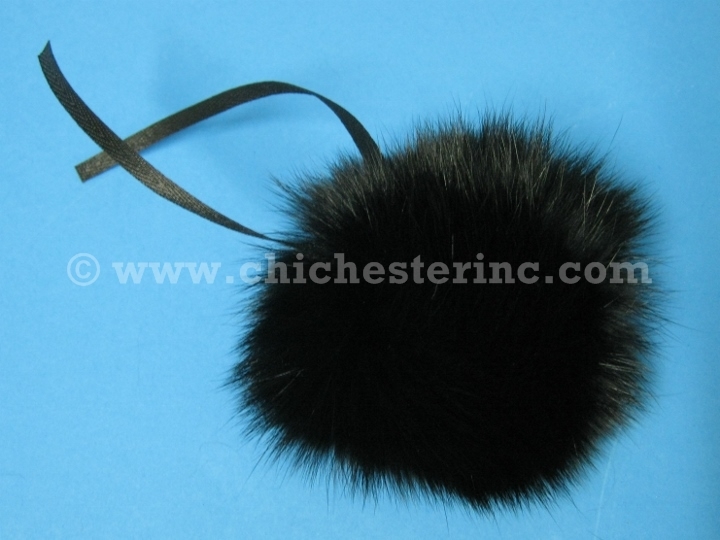 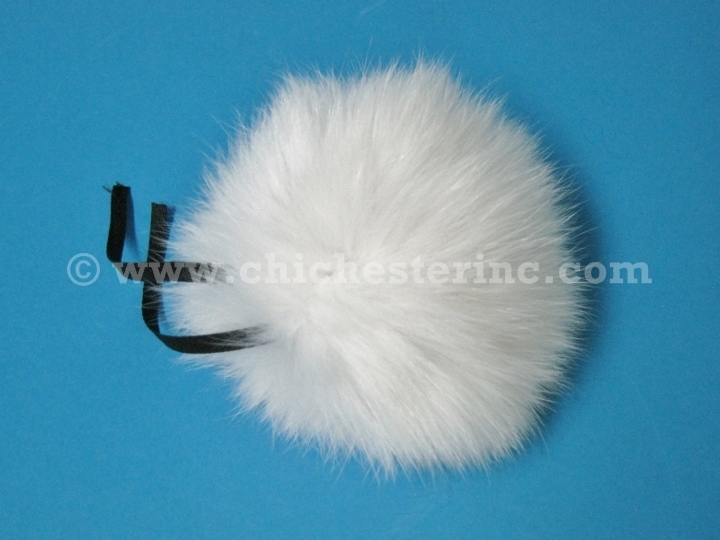 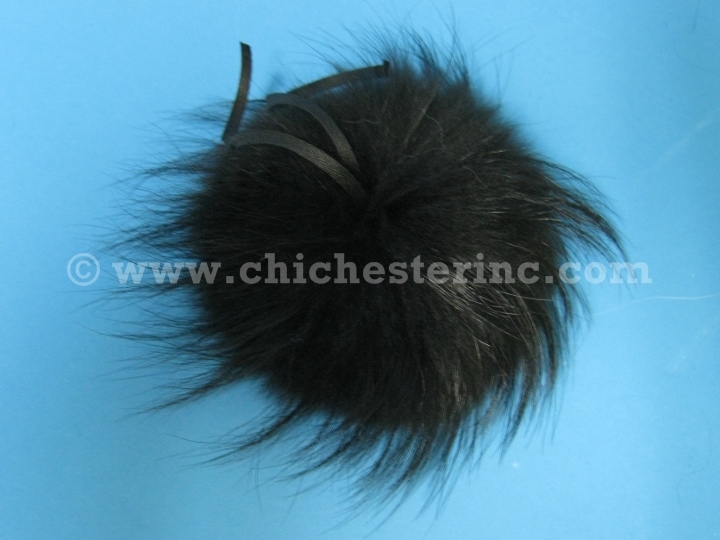 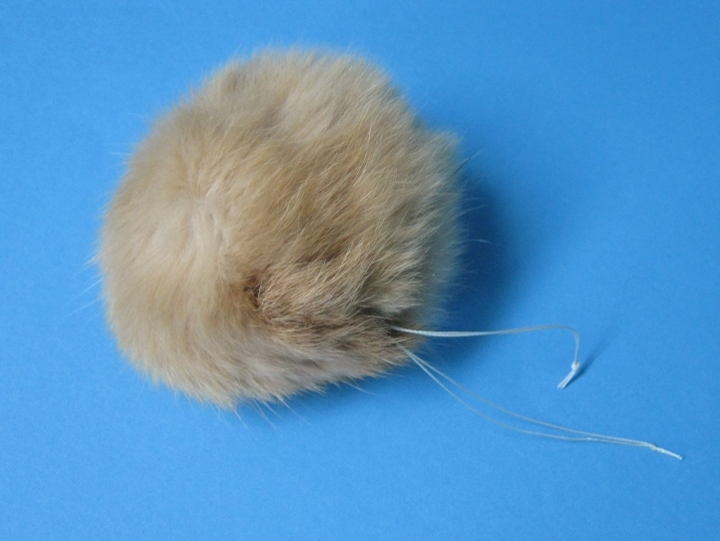 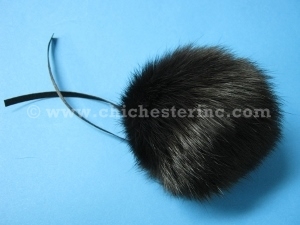 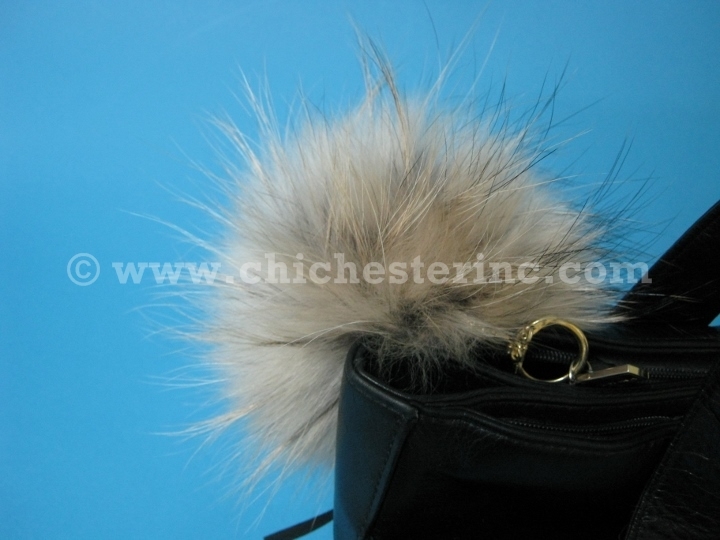 We also have Czech rabbit fur pompoms in natural and dyed colors. 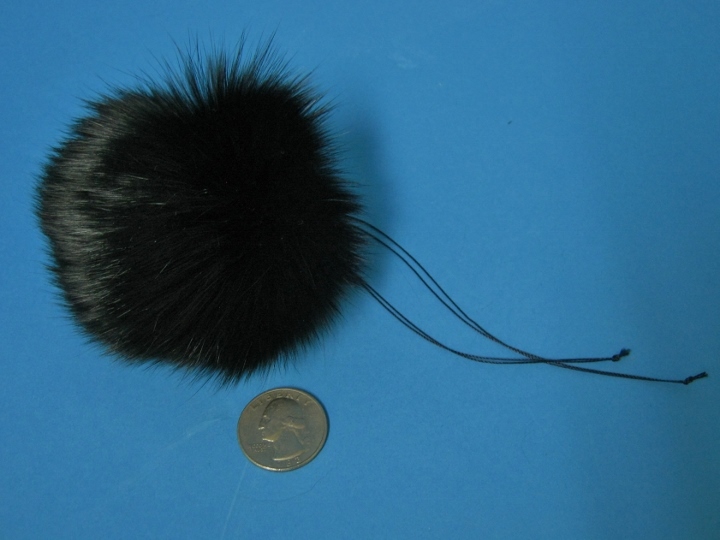 Pompoms made in Canada measure 3.5" to 4.5" in diameter. 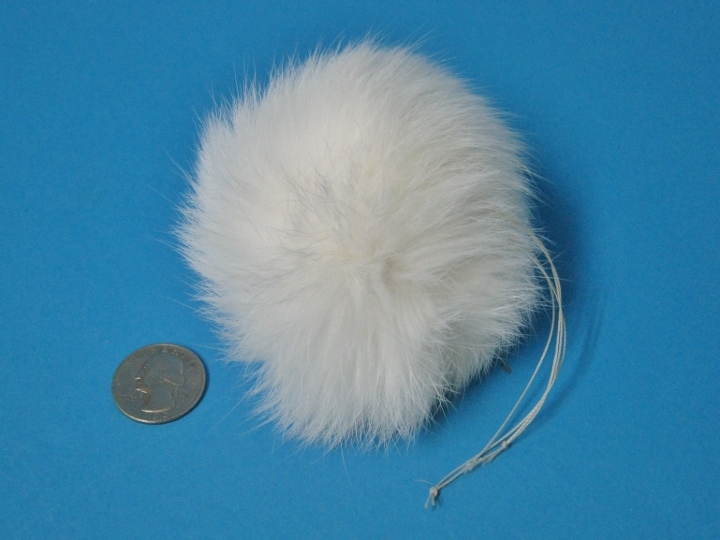 Pompoms made in the Czech republic come in two sizes: Medium (~3") and Large (~3.5"). 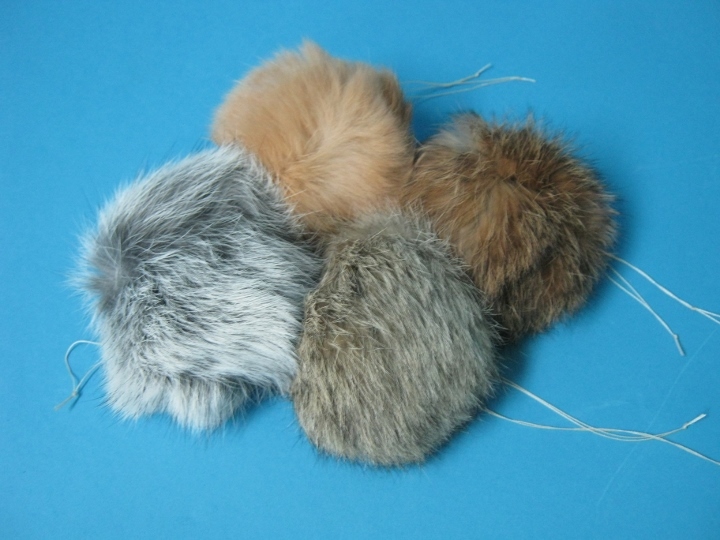 Please note that colors of dyed pompoms may vary slightly with each dye lot. 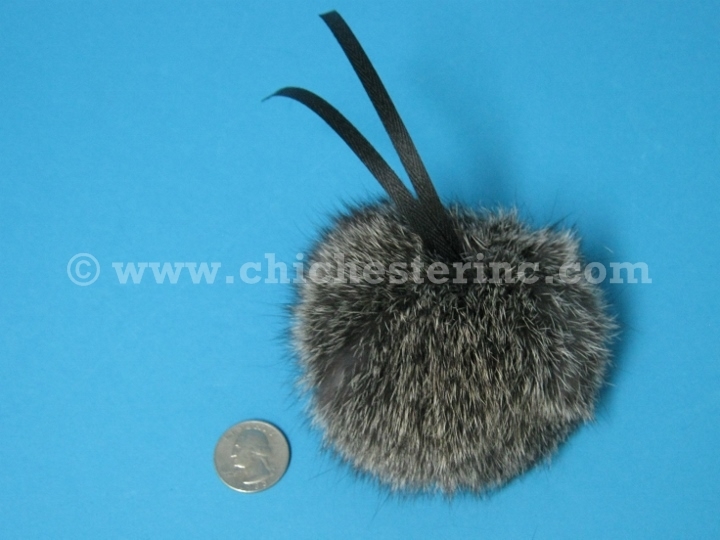 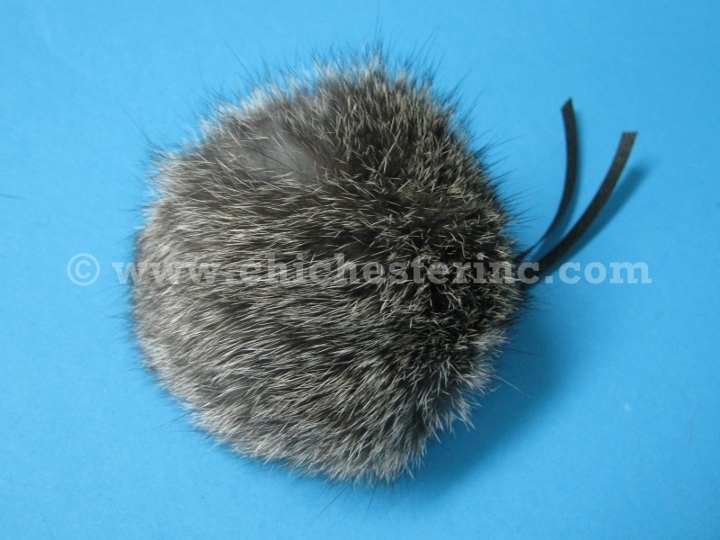 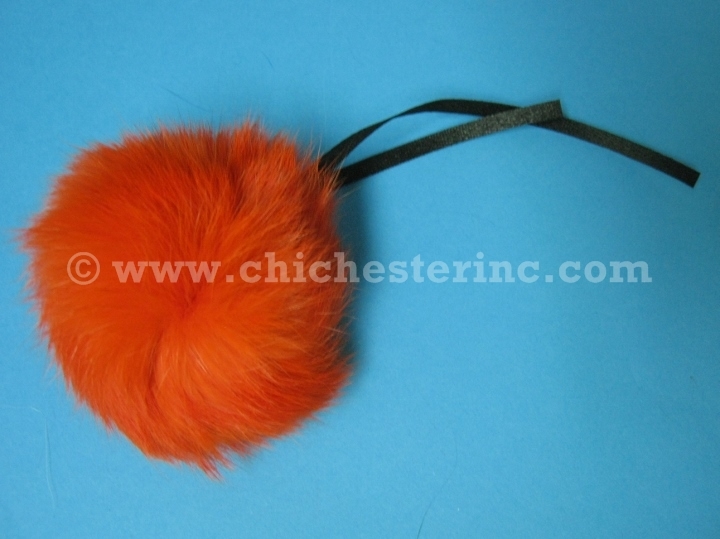 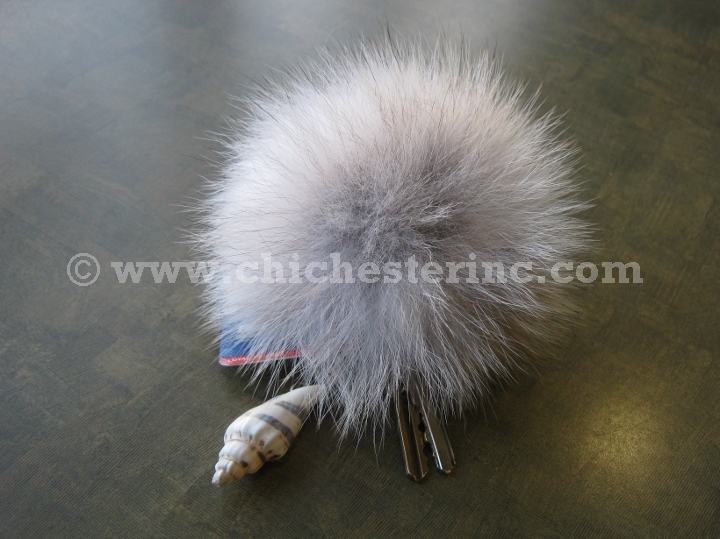 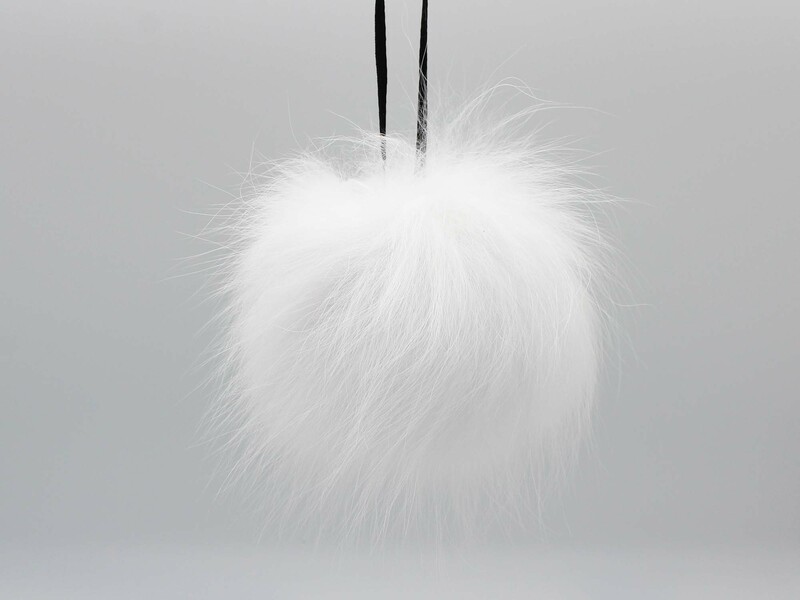 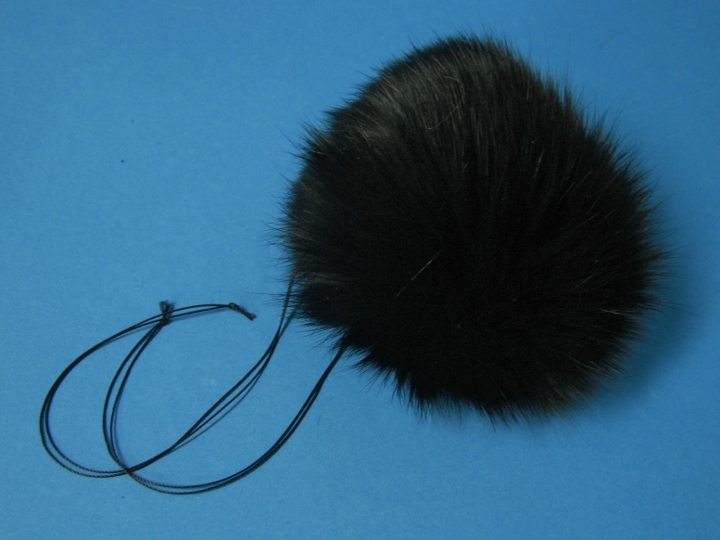 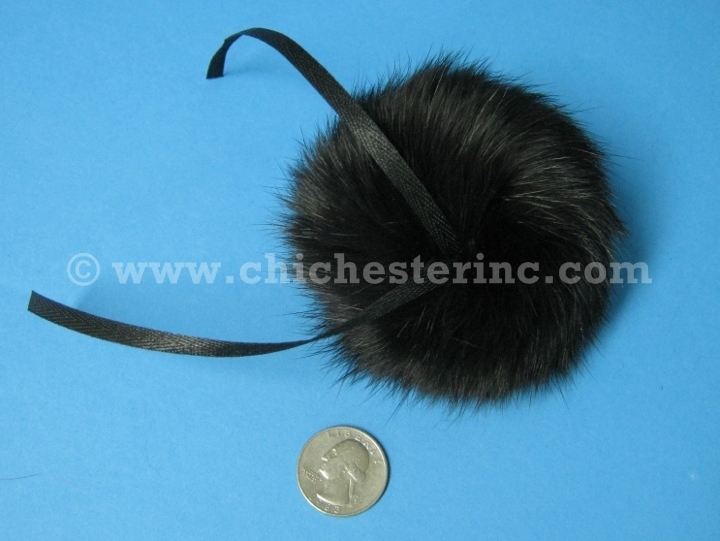 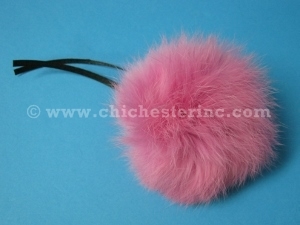 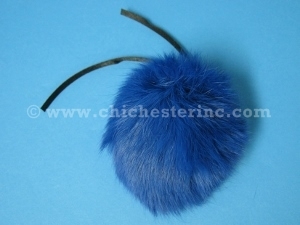 We can also turn them into fur pompom keychains for an extra US$5.00 per pompom. 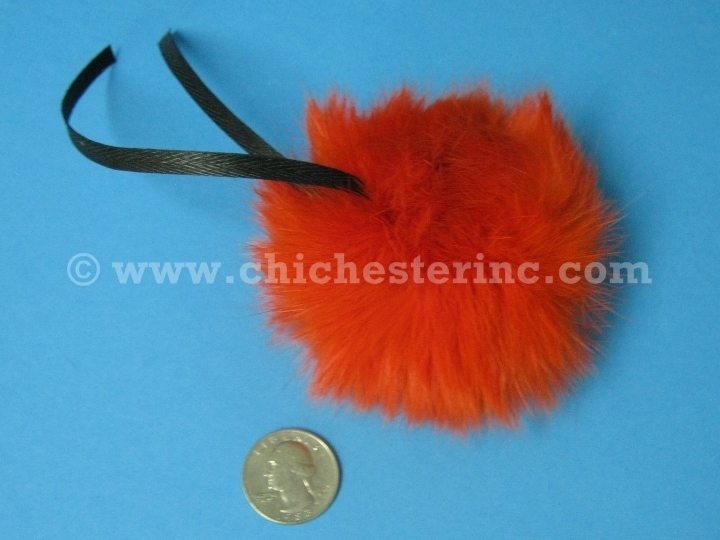 The keychains are tied onto the pompoms with the ribbons that come attached. Just let us know if you want a nickel or gold key chain, available in 2 styles: snake and mesh flat. 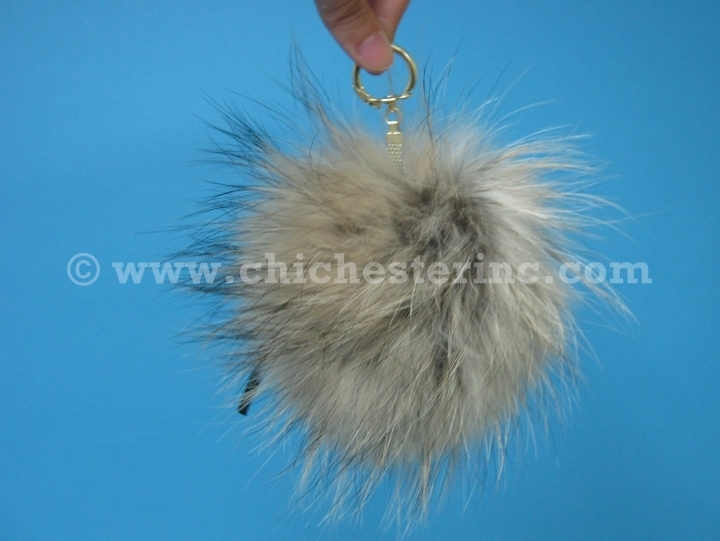 The sample keychain in our photos is made using the mesh flat gold keychain. 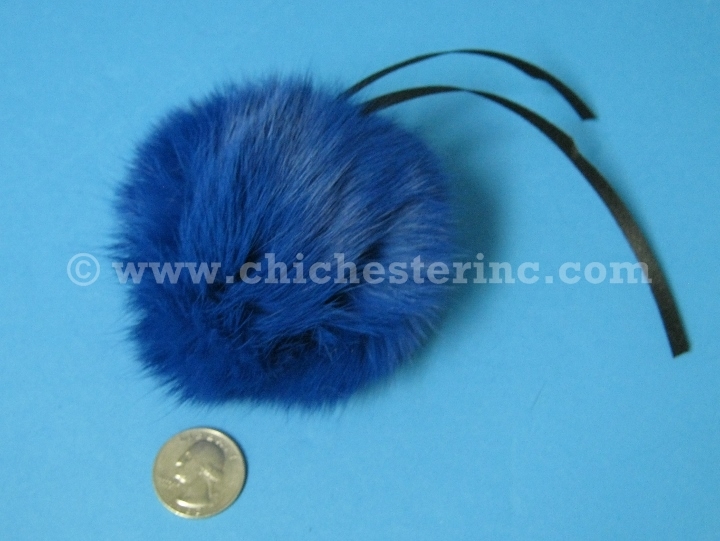 Genus and species of blue and shadow fox: Vulpes lagopus. Ranch raised. Genus and species of finn raccoon: Nyctereutes procyonoides. 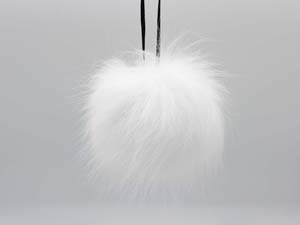 Ranch raised. 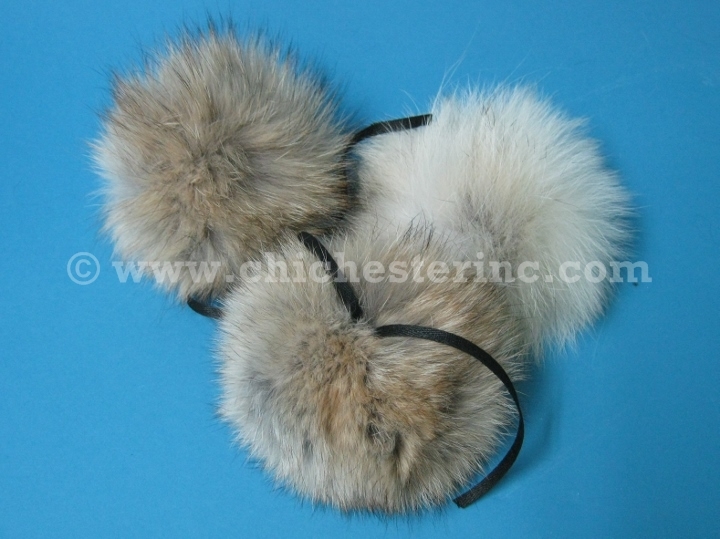 Genus and species of Czech rabbit: Oryctolagus cuniculus. 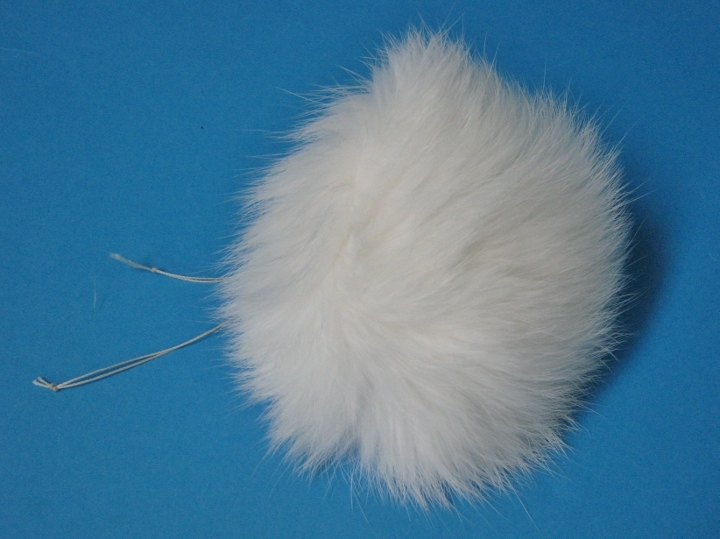 Ranch raised. 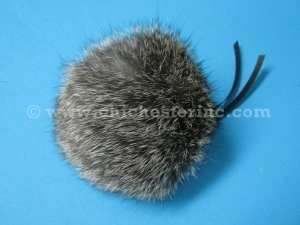 These species are not endangered and are not subject to CITES controls.